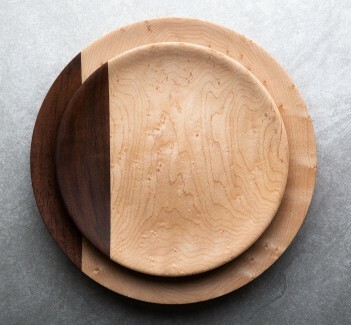 Tall and beautiful, yet small and undersized at the same time. 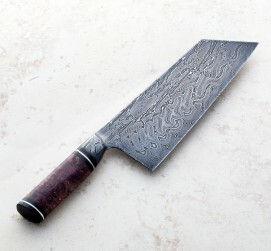 Nick Anger wows us again with the Mini Mosaic Santoku, forged from a multi-bar damascus of five distinct carbon steels to create the 150mm / 5.9" blade that stands a formidable 56mm above the cutting board. 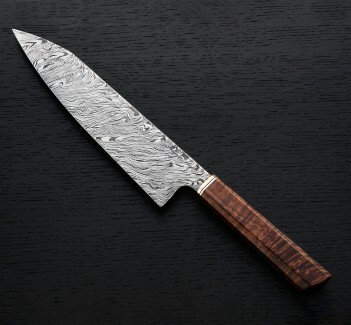 Fun in the kitchen is guaranteed with such a unique design, the especially short and slim handle providing just enough grip to move the light and thin blade quickly through ingredients. 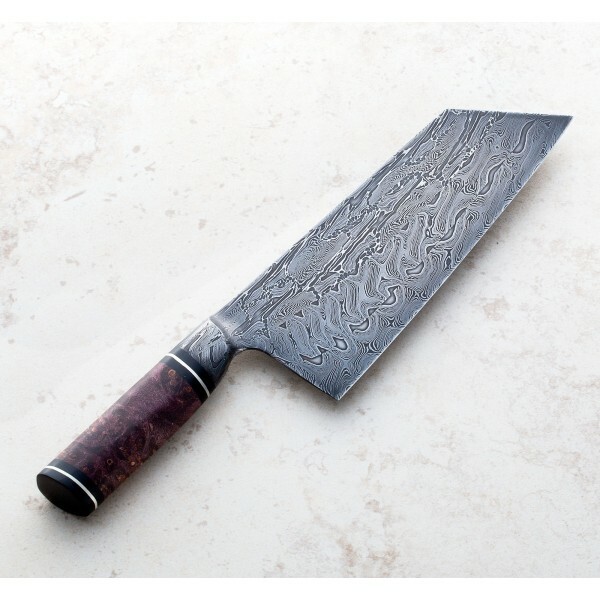 Chopping at speed, especially with a pinch-grip hold, is an all new experience with this extraordinary and versatile chef knife. Blade: 150mm / 5.9". Overall length: 245mm / 9.65. Blade width at heel: 2.6mm. Blade width at heel: 1.4mm. Blade height at heel: 56mm. Weight: 4.7oz / 134g. 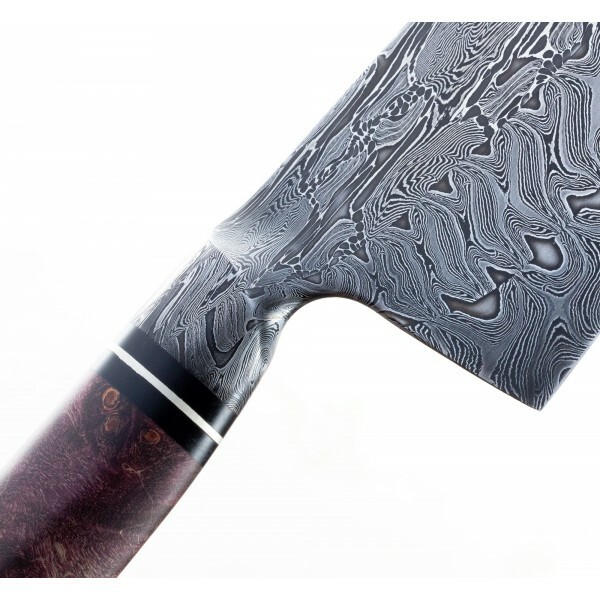 Blade: Multi-bar mosaic damascus consisting of 1080, 15N20, 52100, 1095 & 4800kc carbon steels. Handle:Stabilized, dyed curly maple with black paper micarta and nickel silver.